Today’s post is by A Bubbly Life for PBteen. Be sure to check out this awesome blog for more great DIY ideas! Taking notes, making lists and studying become a lot more inviting when you’ve got fun supplies! 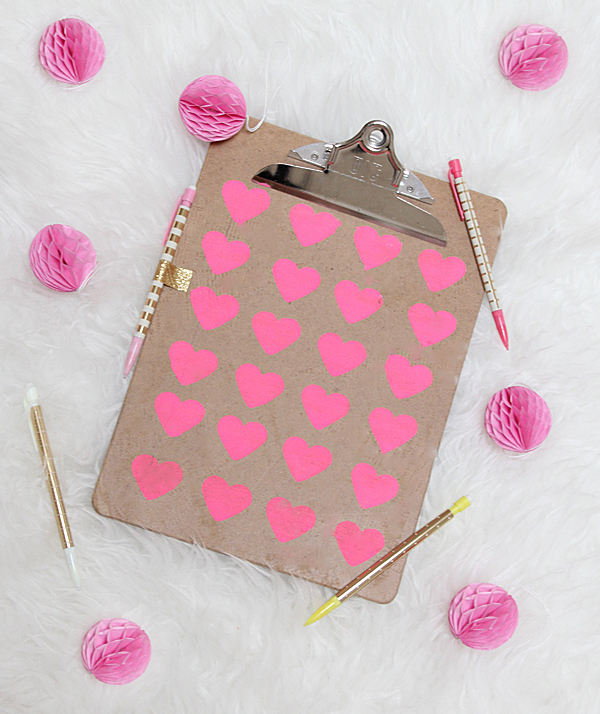 Here, neon pink hearts offer a much-needed update to a plain brown clipboard – and it’s so easy to do! *A standard clipboard at any school-supply store is about 8 inches wide. 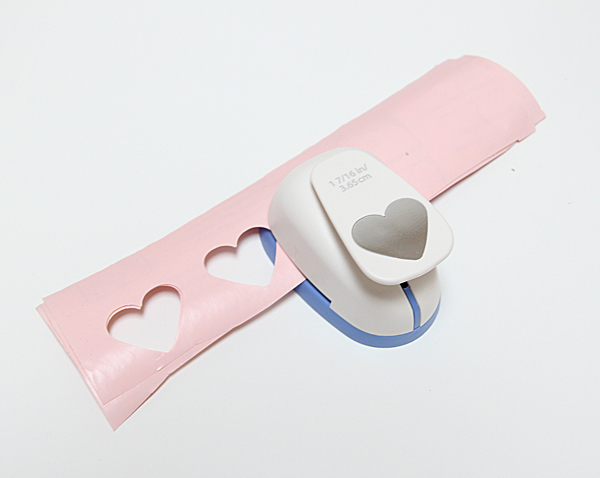 The heart stamp is nearly 2 inches wide, which allows for four hearts per line, six lines total. 1. 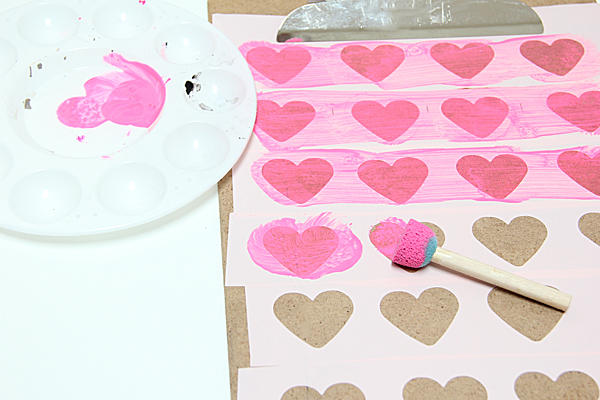 Cut out six strips of contact paper, making them long enough and wide enough to stamp four hearts (roughly 3 inches wide and 8 inches long). 2. 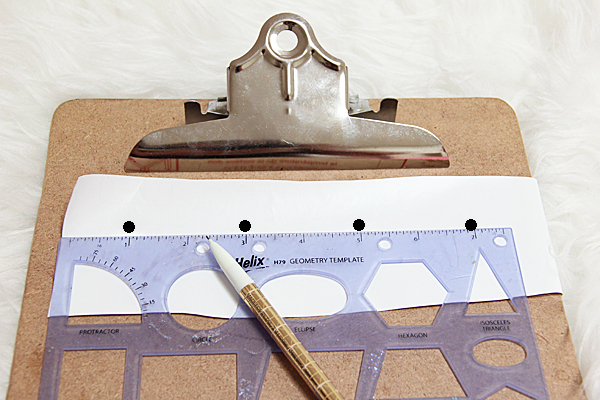 With the ruler, mark off what would be the middle of the heart (1, 3, 5 and 7-inch mark) on one strip of contact paper. 3. Pile up your six strips, leaving the marked one on top. 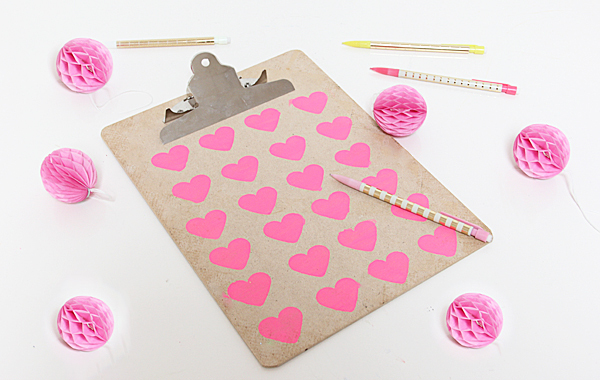 Punch out the hearts using your marks as a guide. 4. 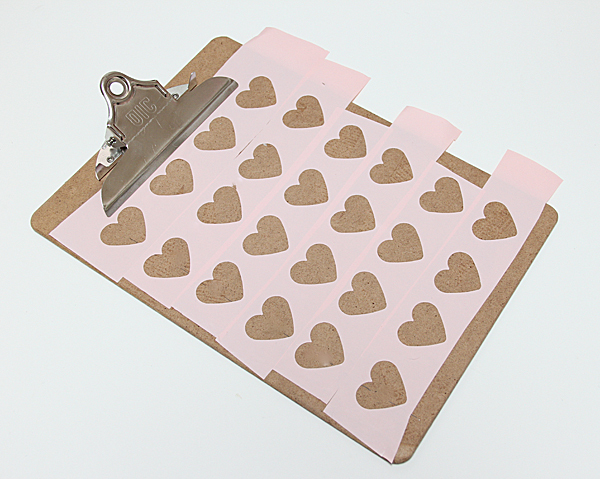 Stick each strip onto the clipboard. 5. Paint! You’ll need a couple of coats if the clipboard is dark or if you want your hearts to be darker. …VOILA! How cute is this?! 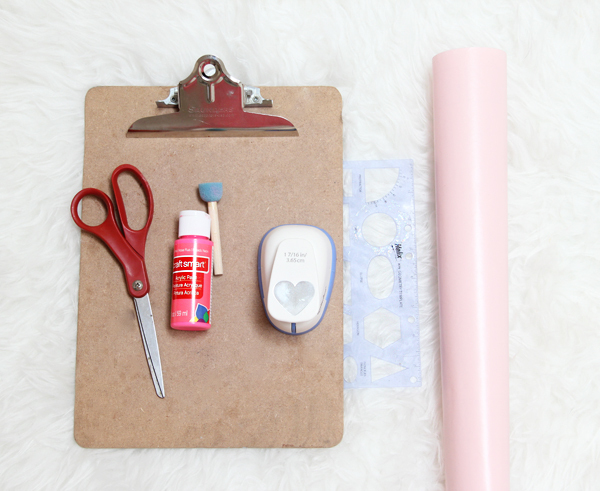 What are your favorite ways to spruce up school supplies? Tell us in the comments below! Great fun idea. I hope I can fill up those cute hearts with names of cute boy friends!! Super idea!! I hope I can fill all the hearts with names of boyfriends!! !